Amid new revelations, the Department of Justice has has expanded its probe into whether political interests played a role in the Obama Admin’s spying on the Trump Campaign. On Monday, Deputy Attorney General Rod Rosenstein ordered Inspector General Michael Horowitz to widen a probe into privacy abuses to include infiltration by an FBI informant. 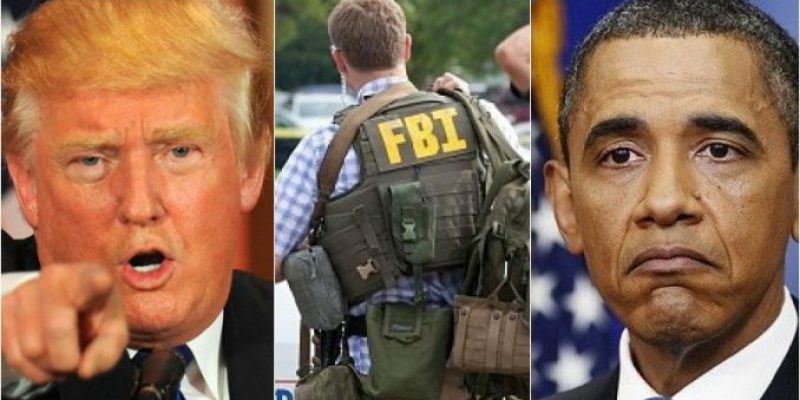 The Obama FBI allegedly deployed a spy on the Trump campaign and the DOJ wants to know if political motivations were involved before considering criminal prosecution. A statement released by the Justice Department says Horowitz has the authority to consult a criminal prosecutor if criminal wrongdoing is discovered. The demands come after two news publications reported that at least one FBI informant met with members of the Trump Campaign. The Justice Department did not disclose the identity of the spy, claiming it would jeopardize national security. The revelation further incriminates the previous administration which was already under fire for using Foreign Intelligence Surveillance Act requests based on Democrat-funded research AKA “the Dossier” to obtain a warrant and initiate electronic surveillance on the future President’s campaign.